Definition - What does Super Soldier Pose mean? Super soldier pose is a challenging new balancing yoga posture. It is not a traditional yoga posture, but rather one which has been developed and popularised through social media. 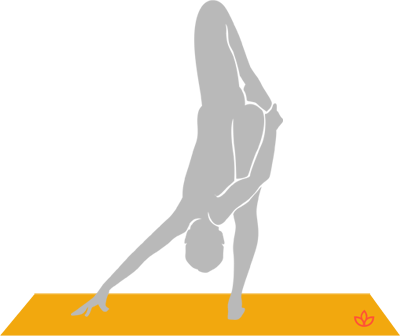 In it the practitioner folds forward, balancing on one leg, while holding the other foot over the hips. It requires a great deal of hamstring, side body and shoulder flexibility. It is sometimes also called inverted compass pose, and has been given the Sanskrit name viparita parivrtta surya yantrasana. Primarily, it is considered a playful posture, and one that should only be attempted once the body is warm. Sun salutations and postures that open the hips and shoulders may be useful to practise first. It may take some time to build the flexibility and balance to hold the posture. It can be beneficial to practice to posture with the supervision of a partner or yoga teacher. As with all challenging postures, super soldier pose is a good posture to practice to let go of attachment to the finished posture and find a lightness and ease in the yoga practice instead.